Late Mr. Kedar Nath Mour, S/o Late Govindram Mour, demised in 2006, he was around 66 years. He was from Paltan Bazar, Guwahati, Assam. He was qualified in B.Com and Bachelor in Law. He was a sportsman in true sense. He was really passionate for the game of Football. He was International Football Referee. He was treasurer in Assam Football Association. He was then the Hony. Secretary of Assam Football Association. Then he became Hony. 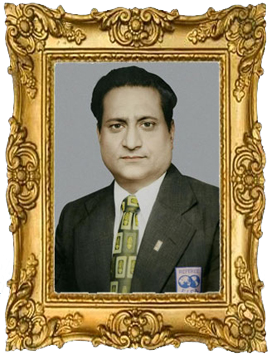 Secretary of All India Football Association.He was a executive member of FIFA. He was an International figure. He started a hotel named as Mayur Hotel in the year 1974 with only 11 rooms and today that very hotel has gained name and fame in the entire India with presently having 175 rooms. He then incorporated a company named Mayur Krishna Pvt.Ltd. having one Cinema hall named Mayur Krishna at Ambari Fatasil, Guwahati. Then he started one more company named Mayur Resorts Pvt.Ltd at Delhi and opened a Hotel at Pahar Ganj, New Delhi named as Mayur Assam Hotel. He then became a co-owner of a commercial complex at Guwahati named as Mayur Krishna Market. He then started another company named as Moore & Moore Estate and Finance Pvt.Ltd. and started the project of a Three Star Hotel at Kolkata named Mayur Residency, but destiny has its own ways and it is said that even God needs good people around him therefore at the very verge of completion of the project he left us for his heavenly abode. But the Goodwill he has earned himself as well as for the name of Mayur will stay for ever. As we all know "Behind every successful man there is a woman" this proverb does exemplify the woman behind the scenes for the success of the Mayur Groups of hotels. Mr. Kedar Nath Mour the pioneer of Mayur groups of Hotel, initiated this project of Hotels along with the help of his wife Mrs. Krishna Mour. However, Mrs. Mour, the iron lady, with all her dedication and sincere efforts stood behind Mr. Mour and helped to make this project a dream come true. She has multiple personality ranging from a good wife, a good mother, a good entrepreneur and a good employer. 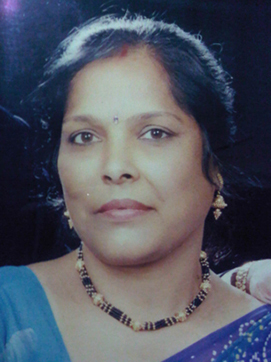 Without her persistence and industriousness Mayur groups of Hotel would not have been able to reach this long journey of success.Currently she has been the soul of the Mayur Group of Hotels.